Fancy lights and animations on your Kerbals will make them look like a Christmas tree! Customize and make them shine with these glowing props during upcoming holidays and ever after. Helmet Lights for those times when you wanted to take kerbal selfies during nights. Cupola Helmet for better angle of view when playing with the Through The Eyes of a Kerbal mod. Jetpack Light, useful when your Kerbal doesn't wear the standard helmet. Omni-Tool, a fancy replacement of the screwdriver tool (left handed, so use the "H" KIS hotkey). 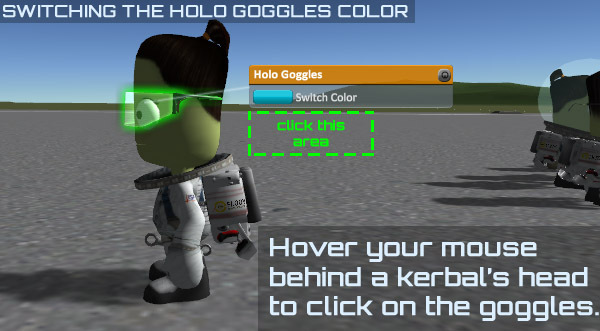 Holo Goggles, brings diversity to Kerbals, has a Firespitter color switcher. 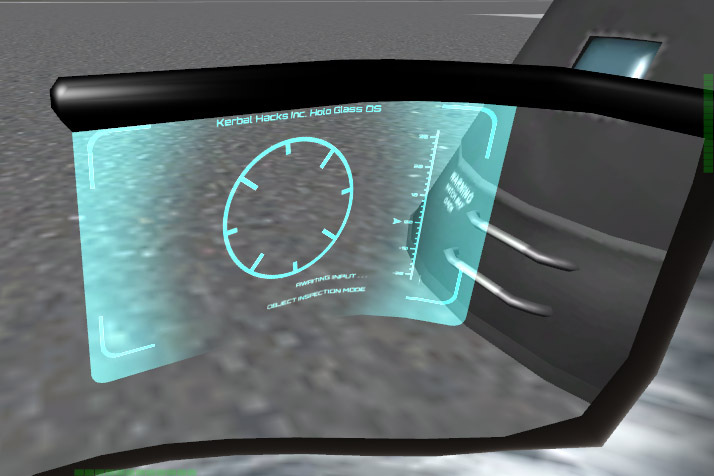 - The Holo Visor has an EVA Propellant indicator which is there for users of the Through The Eyes of a Kerbal first person view mod and requires the Indicator Lights core plugin for animation. ;-; this is so beautiful. i pray for its swift arrival on CKAN. Oh -- These are entirely wonderful, Enceos. Finally, a mod crucial for my gameplay. Thank you, sir. @Enceos, Mic headset is missing a category in cfg. My bad thanks for the report, but you can still find them all in the EVA category which comes along with KIS and Community Category Kit. @Jaxx now available on CKAN. Next: suggestions from "department of bright ideas"
Is there any chance to make a JSI-like system of HUD parts with functionality ? 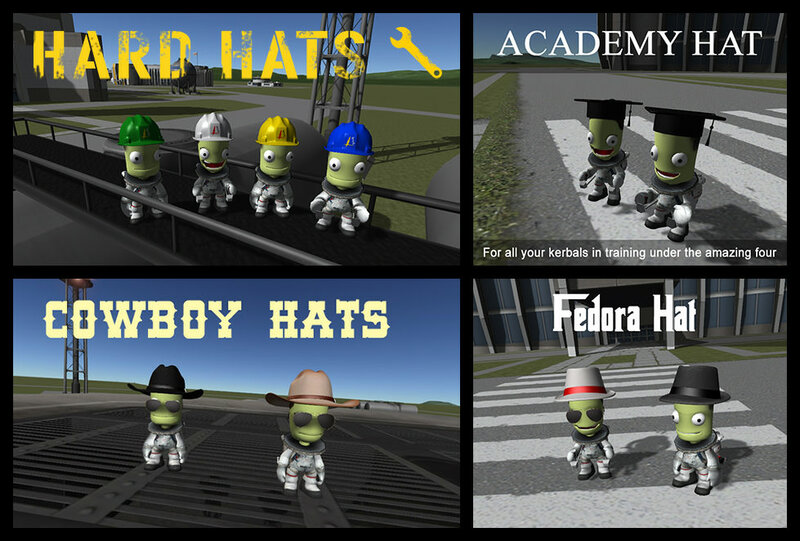 Is it possible to make a KIS inventory just for Kerbal's heads ? 3.In first person view, headgear would provide required information to a player that is not usually accessible (look at point 2 for purpose). Not all gear would be available on start of career mode, it would sit somewhere inside tech-tree. HAHAHA!!! This is fantastic! Bravo sir. @fatcargo Thank you for the list of good suggestions, sir! Many of the functionality type things you mentioned are possible to make with skills of an experinced programmer and around two weeks of his personal time, I am not a programmer of course. The KIS props are not usable in IVA, so tourists won't wear anything. I didn't dig into RPM type stuff, but something tells me that if button colliders work outside of IVA mode it could be possible to take the RPM Hud out into the open. Here's the look of the "EyePatch" visor from a Kerbal's perspective. P.S. Bandana is available in the ProProps pack. I don't know how earrings should look on an earless kerbal head. @Enceos For RPM : something could be done about it. RPM is built with extendability / accessibility in mind, so "under the hood" it's code may be open enough to be reviewed by coder for adaptation to the mentioned ideas. Also, if possible please add to your plugin's API detection if Kerbonaut has helmet or not, so head-gear addon creators may write/design parts aware of this. If RPM-like functionality may be added, imagine moving MFD-style reticule overlay to first-person view ! @Enceos Bravo. Bravo!! Well done, Sir. This is going on the list of must-haves; right there with MechJeb, KER, et al. Hm, interesting, you have my attention. IndicatorLights is currently joined-at-the-hip to emissive shaders only, but not because it particularly has to be-- that's just what was convenient for me when I was writing it. If there are other standard Unity shaders to interact with (such as "tint color" or whatever), I suspect it wouldn't be all that hard to factor in some flexibility with IndicatorLights so that it's possible to do the thing with the other shader. Need to look into this some more. No promises, but if it turns out I can do some minor tweaking to enable your scenario, I will delightedly do so. Discussion of details will likely involve extended back-and-forth technobabble that's probably not directly interesting to users of either your mod or mine, so I'll follow up with you in PM if I have questions. Let me get back to you in a little while. I don't know how earrings should look on an earless kerbal head. Good Lord this is awesome. Well, you've got the sunglasses, now all you need is a cowboy hat and you've got a complete @Maximus97 kit. 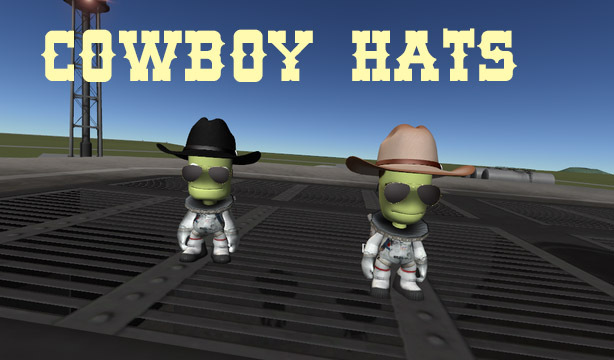 well how abgout some of the famous "Kurt Kerman" 3D glasses to go with this set? (If you need a reference, do a search for Kurt Kerman". (After all Kurt is still one of the bravest and gutsiest, kerbalnauts in the biz.. Nesxt to Jebadiah..
@Space_Coyote I'd let it stay a unique feature of Kurtjmac. Anaglyph glasses fall into the "bizarre" category and would best fit the ProProps pack. I just found this. OMG this is so awesome! Edit: Can I suggest some new parts? The first one would be a cape, Darth Vader style, so it would complete the helmt made by Locab, the ProProps guy. But I don't know how to animate mesh faces yet, the cape would look static, and only usable on Kerbin with the texture replacer mod to hide the backpack. A visor powered by Indicator Lights. The vid shows an EVA Propellant indicator. WOOHOO ! YES ! Under the hood stuff ! @Enceos I got something for you to add to the OP.